An adult should always be present with any kids that are using the internet. It is always important to have an up to date virus software, also. Some of these games teach about food safety, good nutrition or food quizzes and some included below are just for fun. We've also included a reference of games that are available offline, below. Here is a list of some free games online. Test your knowledge with food trivia with these kids trivia questions. We've included the answers so you can see how well you've done. Once you've filled out the quiz and submitted your answers, you'll be taken to the answer page. We have 12 close up photos of food. Do you think you can guess what our mystery food photos are? Come see our monthly theme recipe contest and enter for a chance to win. Each contest has a different focus, for example past contests have been pasta recipes, snack recipes, holiday related recipes or salad recipes, among other themes. Prizes and themes change monthly. Check our free kids cooking printables section for worksheets and printables. 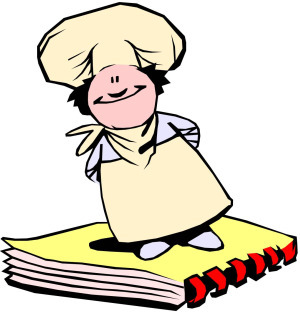 Cook with Chef Piglet- "make" a variety of dishes with this online cooking game. Don't Gross out the World- online quiz game on etiquette around the world. Food Groups Online Kids Game- organize food into each food group. Food Safety Games- These games teach about food safety and kitchen safety with games such as Stack the fridge, The Spud Zone , Foodbusters and more. If you are interested in games offline such as kids party games- See our kids party games for more cooking games. Back to Fun with Food from this free cooking games page.